A replica Michelin man running Sign. Rusty vintage style advertising sign. 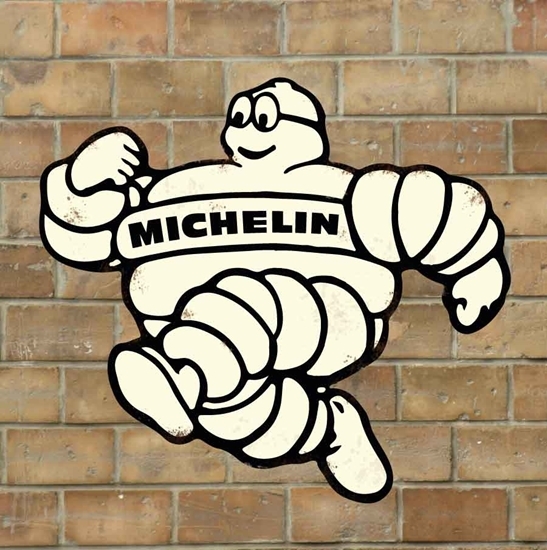 Michelin Running Man. 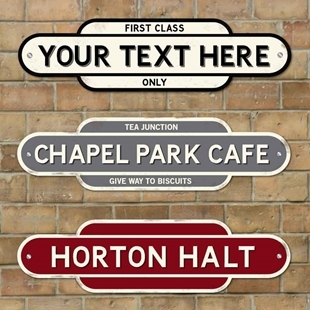 This sign is printed with an aged effect with a slightly irregular shape to give a vintage style old look. BESPOKE ITEMS UNFORTUNATELY CANNOT BE REFUNDED. 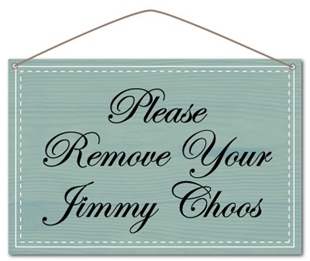 PLEASE ENSURE THAT YOU CHECK ALL DETAILS ARE CORRECT BEFORE PLACING THE ORDER. 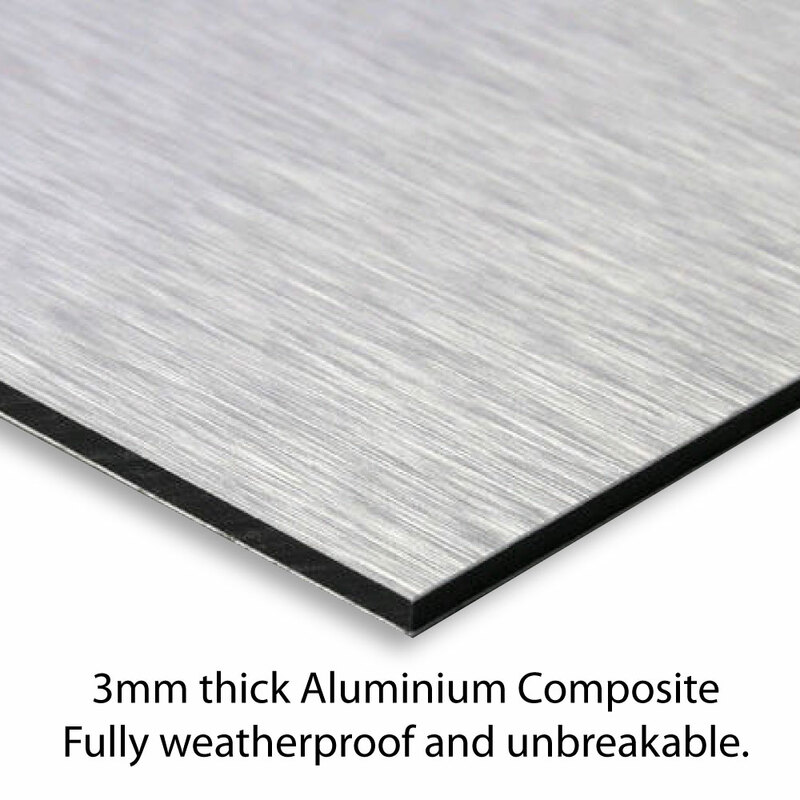 IF YOU ARE UNSURE ABOUT THE COLOUR OR THE MATERIAL PLEASE SEND FOR A SAMPLE. 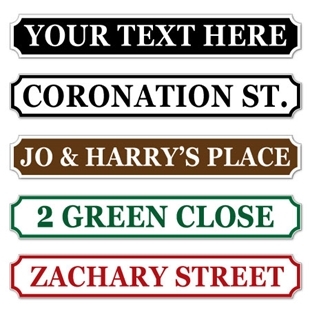 Send a large stamped addressed envelope to the address on the contact us page. 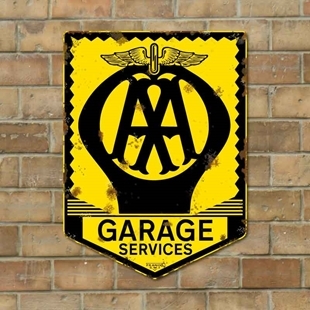 A replica AA Garage service Sign. 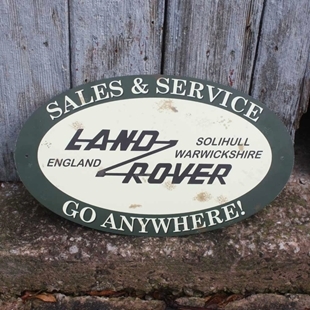 Land Rover Sales & Service, Old Advert, Land Rover Sign.